Take GFWC with you wherever you go with the newly released GFWC mobile phone application! 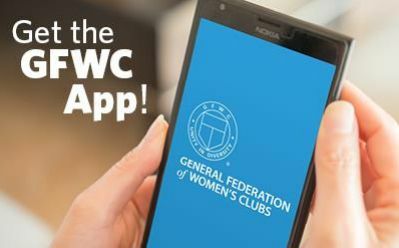 The official app, available for iPhone iOS and Android, is your FREE on-the-go guide for everything GFWC. It has a variety of features which will help you quickly reference GFWC information, be notified of the latest GFWC announcements, network with your Federation sisters, and more! Go to the store’s search bar and search “GFWC.” Do not search “General Federation of Women’s Clubs” because it will not bring up any results.